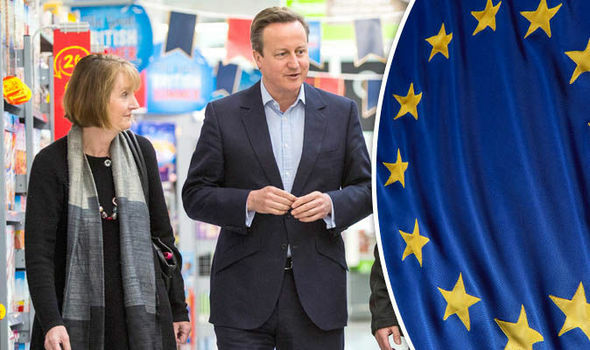 David Cameron and Harriet Harperson went to a specially evacuated Asda where they wouldn't have to meet any plebs at the weekend to tell the media that when we leave the EU the average food bill for a family of four could rise by 60p a day. The Treasury have used the same models that have failed to predict any of the financial crises that have befallen us in the last decade to predict a worst case 12% devaluation of the pound and then, ignoring the fact that being in the EU inflates food prices, estimated that a 12% weaker pound would increase the cost of imported food in real terms by £220 per year for a family of four. There are several things wrong with Project Fear's latest dodgy prediction. Firstly, it assumes that food prices will stay as they are rather than reducing when we leave the EU even though it is commonly accepted that the EU pushes up food prices. It also assumes that devaluation of the pound is a bad thing when a strong pound harms exports and makes it harder to sell what we produce. Devaluation of the pound would boost the manufacturing sector and help reduce our trade deficit and bring down inflation. Finally, the financial models that the Treasury uses have failed to predict any of the financial crises that we have faced over the last decade. They are completely untrustworthy and open to manipulation by Project Fear. The truth is, food is more expensive because of our EU membership. There is so much red tape and technology involved to comply with EU regulations that our food bills are inflated by as much as 17% thanks to the Common Agricultural Policy alone. As well as the cost of the CAP, the EU imposes a 54% tariff on dairy products imported from outside the EU, 30% on sugar, sweets and chocolate and 10% on fruit and veg. That's a tax just to get something into the EU before import duties are applied and then VAT charged on top when it's eventually sold to the consumer. As an example, if you imported 1kg of butter from outside the EU for £1 you would have to charge a consumer £2.01 for it just to cover the tax. Dairy products attract a 54% EU tariff, then there's a 12.8% import duty and then 20% VAT added on top when it's sold. To import 100 litres of milk from outside the EU at the GB dairygate average cost of £23.18 you would have to pay the EU's 54% tariff bringing it up to £35.70 and then add on £15 in import duty, bringing the price up to £50.70. That's 50.7p per litre just to buy the milk and pay the taxes without putting it in a bottle, refrigerating it or taking it somewhere to be sold. Rather than putting food prices up, leaving the EU is likely to bring food prices down or worst case, make no difference whatsoever.